Today, I took the day off work. Today, I joined in with all the touristy stuff. 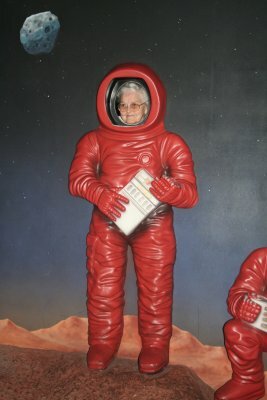 Today, we went to the Kennedy Space Center, and I wanted to share just a few images of my Mamaw. 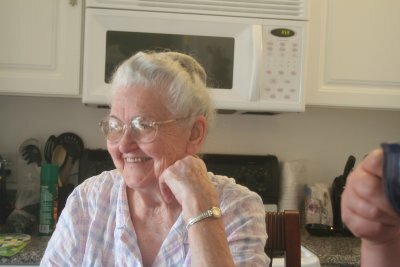 The first is at breakfast, before we started our day. 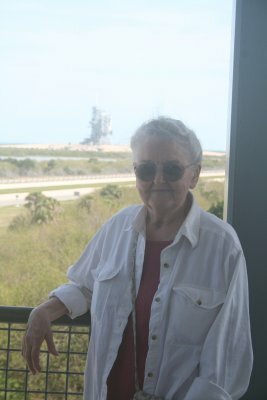 Here she is on the viewing platform with NASA’s “Launch Pad A” in the background.